Sandra McMahon is a woman after my own heart. 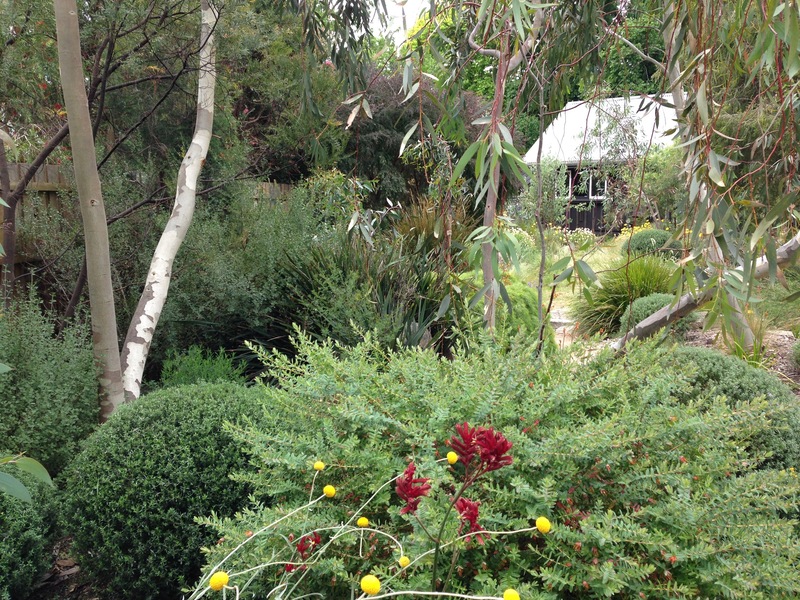 A landscape designer from Melbourne, her love of plants shines through brightly as you stroll through her home garden. This is not a garden of expensive hard surfaces, flashy swimming pools and designer furniture; it is a celebration of all the plants that Sandra loves. Plants are used as both fill and structure, to enormous success. Sandra has not restricted herself to any one style of planting. All true plantsmen designers struggle to limit themselves in their own gardens and Sandra has just planted whatever she fancies. I love this approach – we really shouldn’t take our gardens too seriously! 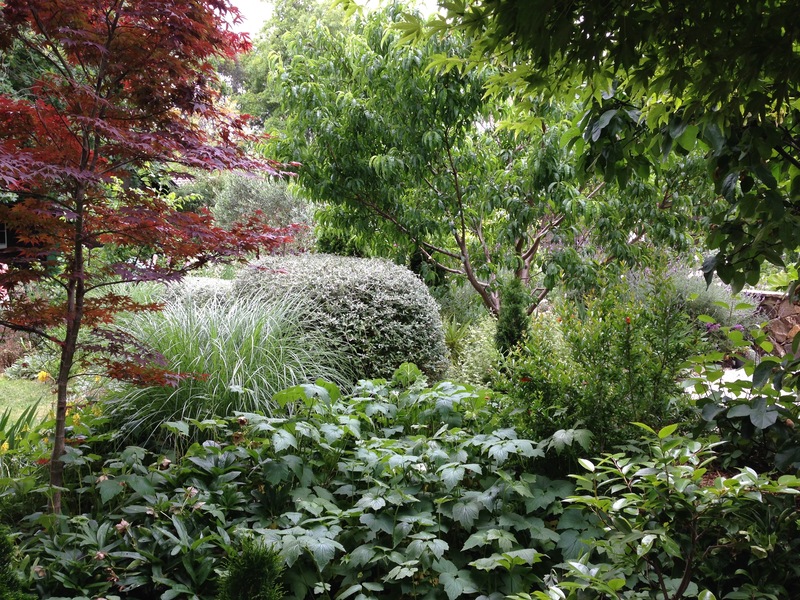 And so there are five very different gardens at Sandra’s; native, Japanese, woodland and water, rose and fruit and vegetable. It is still a very new garden. The half acre was bought in 2008 and Sandra and her architect husband (Warwick Sheffield) have transformed both house and garden since then. It has been created to maximise passive energy principles and much of the fabric is recycled. The resultant character is extremely special – this is not your average 1950s home. And so to the garden. 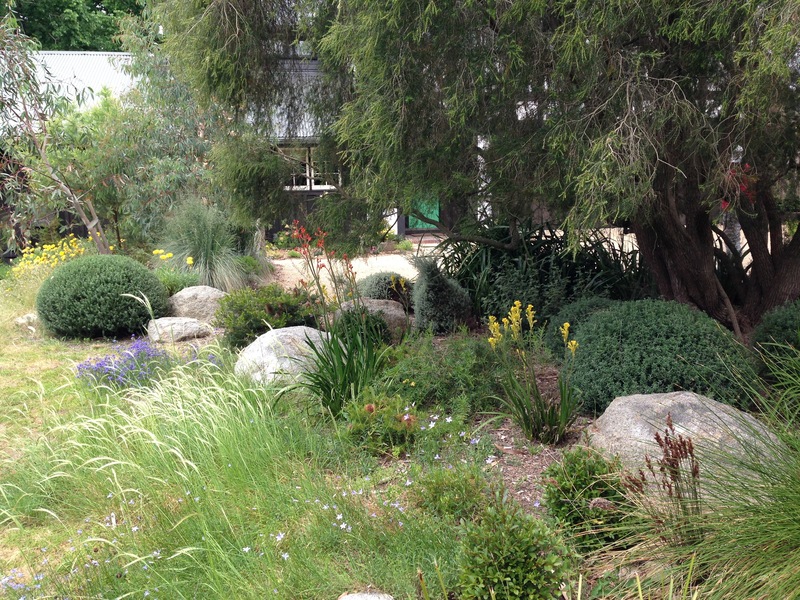 My favourite of the five gardens was the native garden. 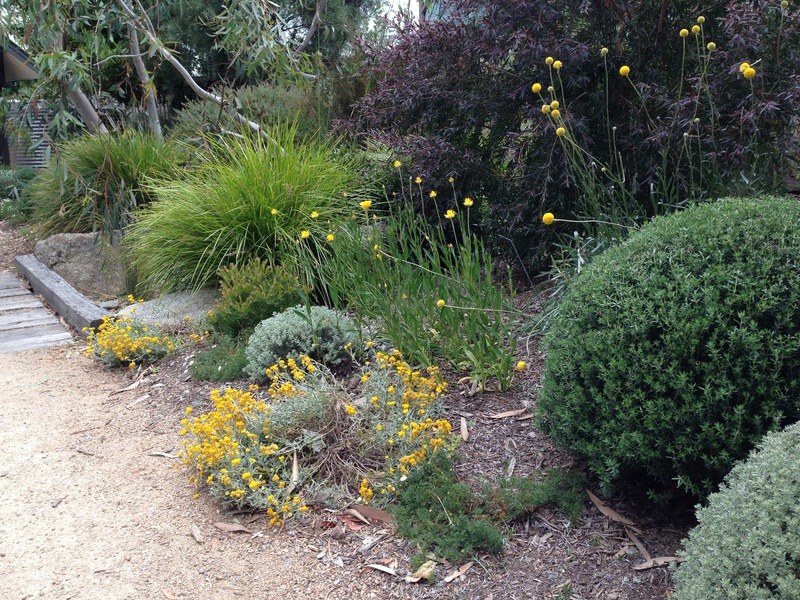 For me, native gardens done well are nearly always my favourite; native gardens done badly, on the other hand, are my least favourite! 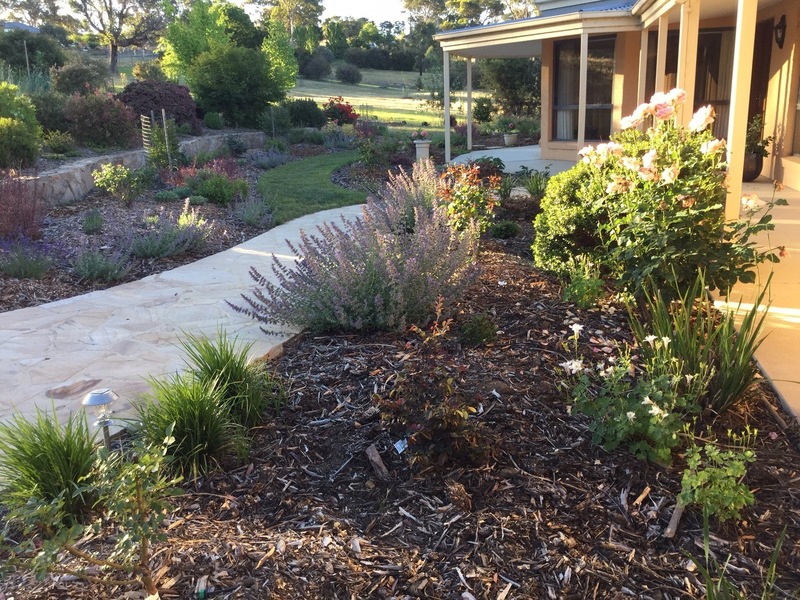 Sandra cleverly designed around the existing trees; a native garden at the front where a old paperbark and wattle stood, a woodland garden under the huge elm in the back and the roses and vegetables where the sun penetrated the ground. She has added a number of snow gums to the existing native trees, which are quite stunning and make it undeniably Australian. 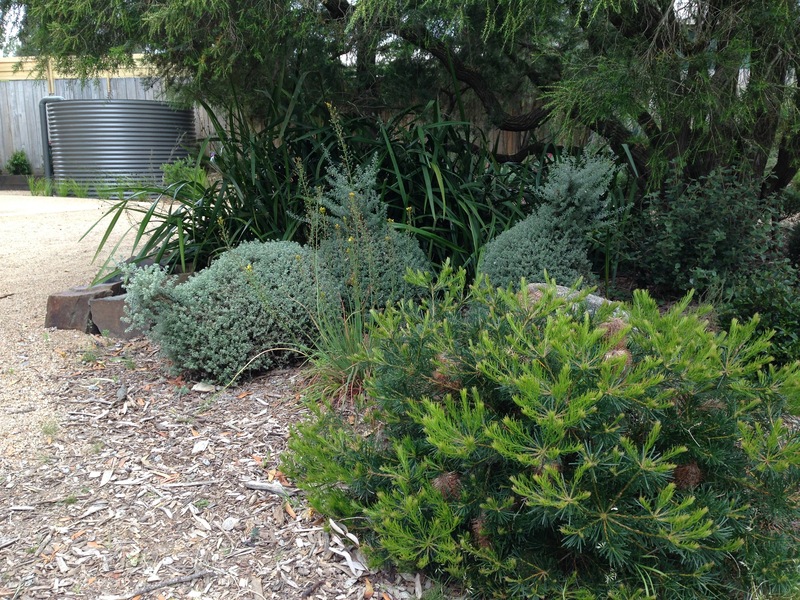 With lots of flowering natives and a real mix of foliage colours, this is no ordinary bush garden. Sandra is also creating a native wildflower meadow which I am very excited to see develop. As you walk around the side of the house, you come to the Japanese garden. Bamboo is used for screening as you squeeze between the house and boundary and then you open out into a beautiful area with maples, conifers and rocks. Sandra describes her and her husband as custodians of the very large elm tree in the back garden. I love this sentiment – the fact that we come and go but mature trees stand the test of time and we should respect that and do what we can to leave these mighty creatures for the next passing humans. 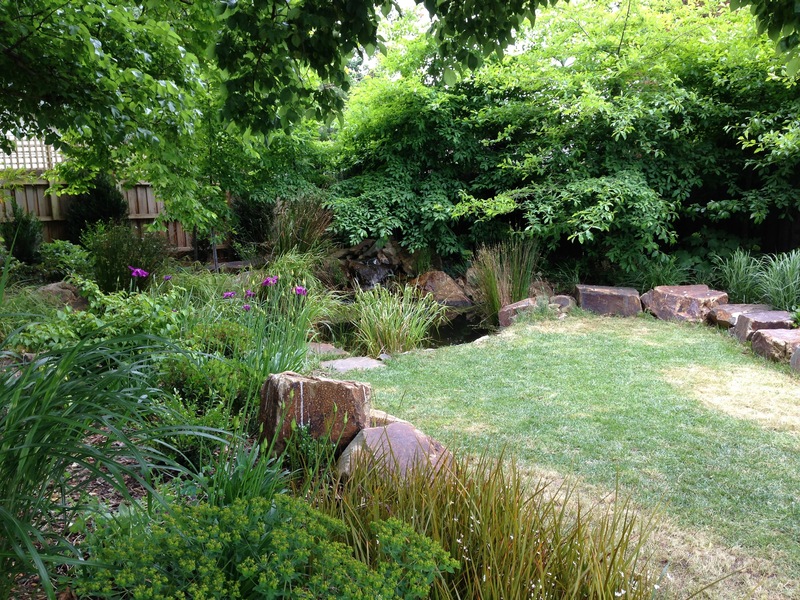 The pond fits snuggly into the lowest part of the garden and Sandra has picked the absolute perfect plants to complement it. As you sit by the water you wouldn’t believe you were in suburbia. The yellow and purple border surrounding the lawn stretches up from the pond and is one of Sandra’s favourite parts of the garden. Sandra has an real eye for blending plants; creating interest, harmony and fullness, all at the same time. The rose garden features a trompe l’oeil, or trick of the eye, with a mirror extending its reach. There are some 32 different varieties of roses here, all thriving in their sunny spot. 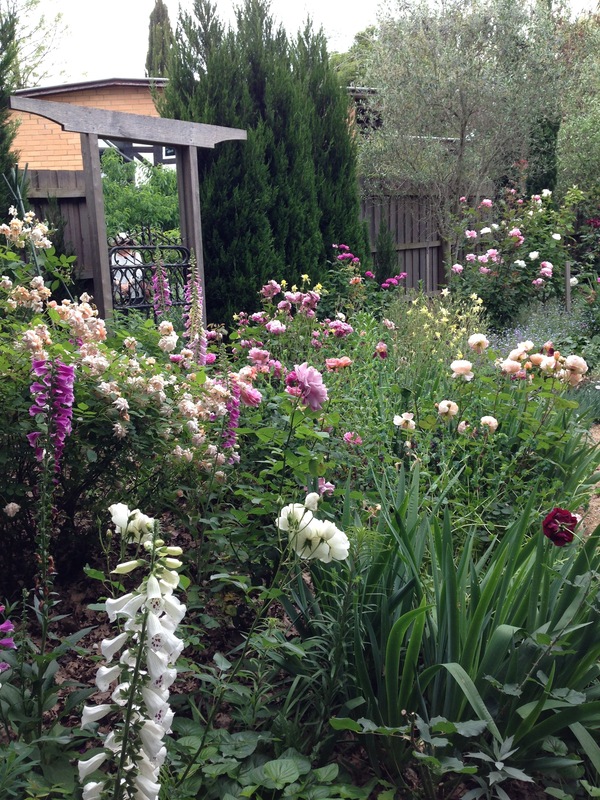 The rose garden backs on to the mini orchard and vegetable patch, perfectly located close to the house. There are two lessons I took from this garden. Firstly, the importance of having the plants that you want. It is all very well having technically perfect designs but is this really about maximising our enjoyment, or is it more about show? Yes, we should find clever ways of ensuring our favourite plants sit well together but with some thought this is always possible. 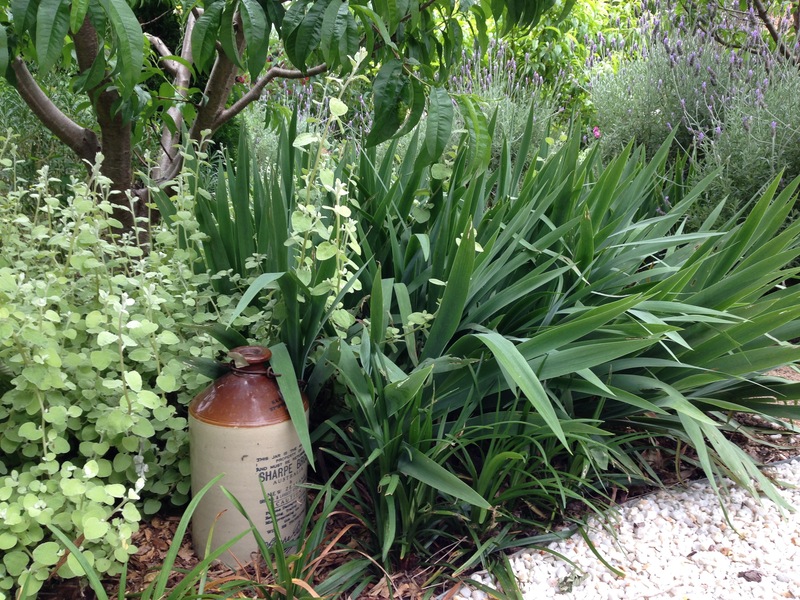 Secondly, this is another suburban garden, similar to Te Kainge Marire, that feels as though you are on a rural farm. The rest of civilisation feels a long, long way away as you experience a little patch of paradise. 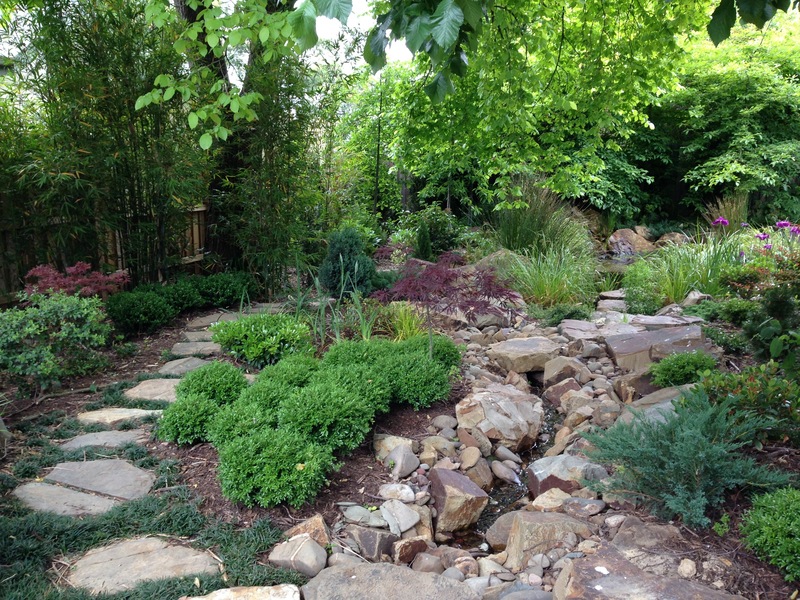 A strong disposition for using plants over hard landscaping materials for structure helps enormously, along with using natural rocks, stones and timber for pathways. 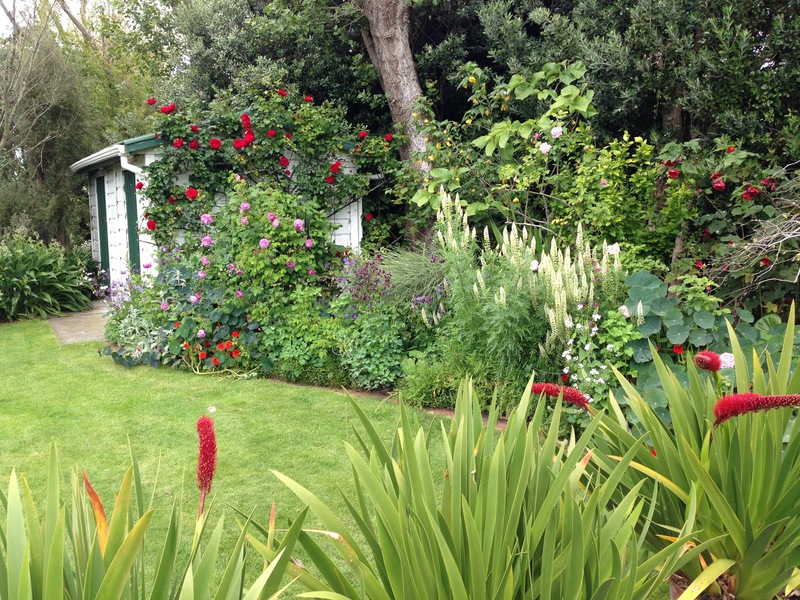 These inspiring gardens show just what can be done in a small area; most would be thrilled to have just one of Sandra’s five gardens, and it is highly achievable in the smallest of spaces. So do work out which plants really bring you joy, identify some natural materials for your pathways and terraces and enjoy creating your own little oasis in the city! What a lovely garden! It will be interesting to see how her native wild-flower meadow develops; it is almost impossible to keep ahead of the weeds here in Australia when establishing meadows. I also love her mix of natives and exotics – we should do this more, there is no dividing line between the two and the natives won’t mind at all! I completely agree. 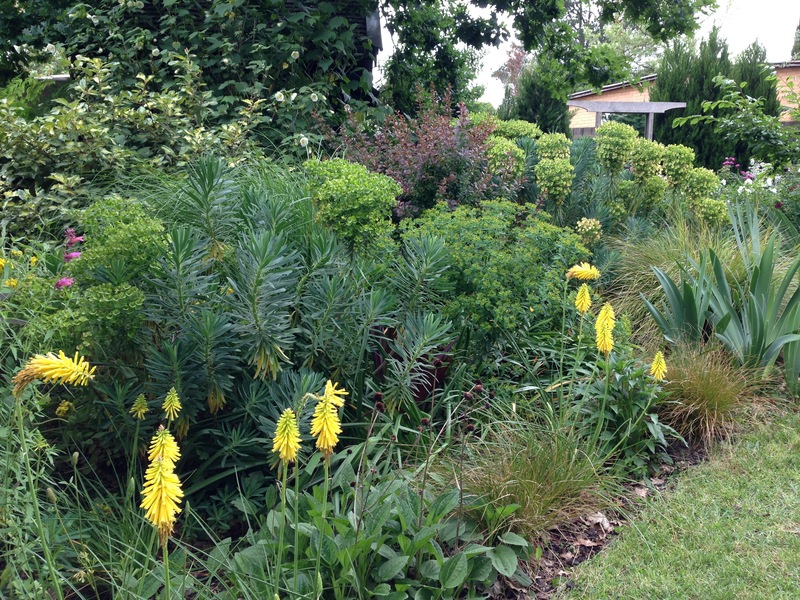 Mixing of natives and exotics is almost always the best answer – plants that love our climate interspersed with some foreigners that are also happy and that add another dimension of colour, form or texture. Perfect!